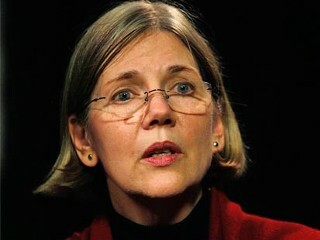 The blond haired, blue eyed, lily white carpetbagging senatorial hopeful from Oklahoma masquerading as a Massachusetts resident, Elizabeth Warren, has been on the defensive since it was learned she identified herself as a Native-American minority in law school directories for ten years. She claims she did so simply to meet people who were like her, hoping to attend luncheon with other Native-Americans and not to advance her career. She never did attend any of the events held for Native-Americans even though this was the stated goal for her deception, but she did in fact advance her career. The woman who claims to be the intellectual foundation of the Occupy Wall Street movement would have us believe she did not even consider the fact that law schools look to this directory when they are attempting to fill racial quotas when she decided to list herself as a minority. Yet Harvard did in fact site Warren as an example of gender and racial diversity when the university came under fire for being too white and too male, and the Minority Equity Committee of the University of Pennsylvania published a report with a list of all minority award winners and Elizabeth Warren’s name just happened to appear in it. Clearly these two universities thought Elizabeth Warren was a minority and why wouldn’t they, after all she told them she was. And yet we are to believe Elizabeth Warren had no idea this was happening and had not intended for her newly found minority status to help her career. Now it turns out that Fordham Law Review called Elizabeth Warren Harvard Law’s “first woman of color” in an article published in 1997. Clearly Elizabeth Warren was helped by her deception, and her grandfather’s high cheekbones notwithstanding, there is absolutely no proof that Elizabeth Warren has one drop of Native-American blood coursing through her veins. Elizabeth Warren is “offended” by the accusations she was helped by her minority status, claiming she got where she was on her own through her hard work, yet she recently said of rich people “there is nobody in this country who got rich on his own — nobody” and it appears as if this is a philosophy she actually lives by because while she has become rich she also felt she couldn’t do it on her own. She felt she needed help and she found it in the law directories when she listed herself as a minority. She knew as a woman and as a rather rare minority she would gain a ticket to the front of the line. All she had to do was be untruthful about who she was and so that is what she did. How many people who were either equally are more qualified for the position were passed over without even the slightest hope of getting hired simply because they were honest about who they were? She is a despicable person. I know some native Americans have spoken out against what she did. I wish more would do so. She should be charged with fraud! She must have broken the law here and I hope she ends up paying the price. This non papoose bearing squaw is a member of the Whothefugarewe tribe best known for speaking with forked tongue keemosabe. I guess we should at least give her credit for being good at one thing, she certainly did well for herself using that forked tongue. I wonder how many who graduated from Rutgers- rated 87th- as far as law schools, got to where she managed to rise to her fame and stature. An interesting question to say the least. The fact that Dances with Lies hasn’t been crucified in the press is a testament to how egregious a Liberal’s offense must be. You’ve got that right Harrison. Thie person committed fraud and used phony minority status to get where she is today and there really isn’t a peep out of the media. Warren should have already been forced to drop out of the race, but with the exception of the internet she has been getting away with this. Like Jim I find her actions absolutely despicable. She used the system to advance her career the same kind of act she would rail on the right for doing. Exactly John, she is one of the most perfect examples of hypocrisy to come along in many years.